Welcome to Foam Sword Parties! 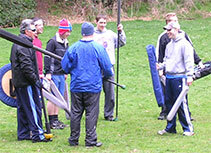 Great for team building focusing on team play, leadership, strategy, sportsmanship and trust as well as company picnics. 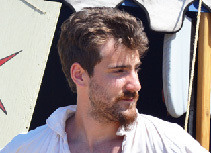 For groups of 10 to 200 players. Great for birthday parties, family reunions, scouting and church groups. Safe fun that builds sportsmanship, team cooperation, strategic planning and athleticism. 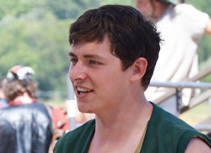 Have you ever wondered what it is like to be in a huge medieval battle like in the movies? Now you can live it yourself and we bring the party to you! With a Foam Sword Parties party, we supply all the weapons and instruction to have a safe and fun experience. We will travel to your party location (park, home, church, etc.) and bring the battles to you! 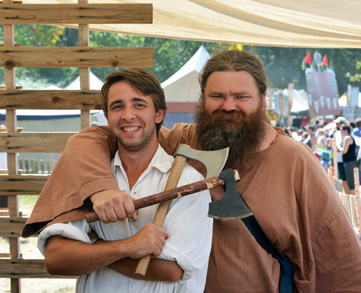 We bring a huge selection of weapons for your party: swords, axes, javelins, maces, spears, shields and more! We will officiate the battles to maintain a safe and fun environment. Foam Sword Parties are great for all ages! Younger folks can have fun in 'Little Warrior' games. We offer scenarios like 'King & Queen', 'No Quarter', 'Thermopylae Pass', and 'Valhalla' to keep the fighting exciting! We can now service areas of Washington and Oregon!! See contact information below to schedule your party!! Any open grassy field works well for Foam Sword Parties. Many local parks offer spaces that can be reserved. Also, Foam Sword Parties can be held in indoor spaces like gymnasiums or churches during the winter. To schedule your party, see our Contact Section. We will try to meet any date and time you select, schedule permitting. For best results, have several good dates and times in mind, and we'll do our best to accommodate your schedule. Base Party price is $180 which covers up to 18 players for a 2 hour standard party. Additional players may be added for $10 per player. We will travel up to 30 miles from Tacoma free of charge. Reasonable mileage rates are available for additional travel. can purchase and take home at the end of the party! If you would like to add an item to your party just let us know by email or phone and we'll bring it with us for your event. Various colors are available for many of these items, and we'll do our best to fill your color requests with our stock on hand. A native of Steilacoom, Chris graduated from Steilacoom High School in 1986 an honor roll student. 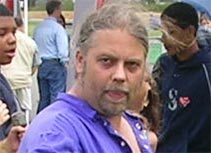 Chris achieved Eagle Scout in the Boy Scouts of America in 1986 from Steilacoom troop 471 (now 71). He went on to earn a bachelor degree in Biology from Pomona College in 1990. Over the next decade Chris worked at the Point Defiance Zoo and Oleary's Books until he decided to make a major career change, opening The Game Matrix in 2000. 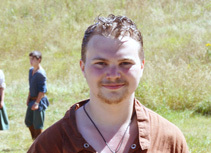 In 2005, Chris began running Foam Sword Parties in addition running a succesful business, The Game Matrix. Chris has studied various forms of martial arts throughout his life and finds this translates well into leading inspired Foam Sword battles. 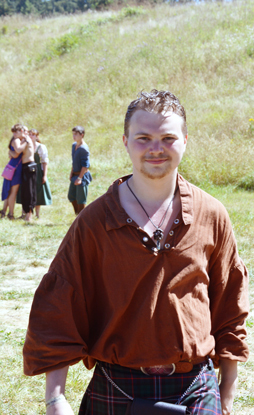 Chris has many hobbies including Martial Arts, SCUBA diving, Snow Skiing, Board/Miniature/RPG gaming and cooking. Diana grew up in a little town outside of Seattle and graduated from Highline High School in 2001. 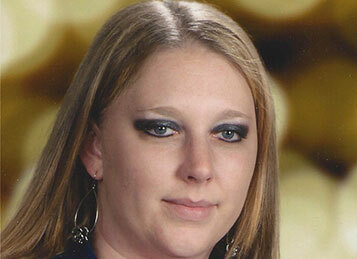 During her high school years, Diana worked with adults with developmental disabilities. After graduation she worked in a school setting with behaviorally challanged youth. She brings a unique insight into hosting Foam Sword Parties and connects well with young players. 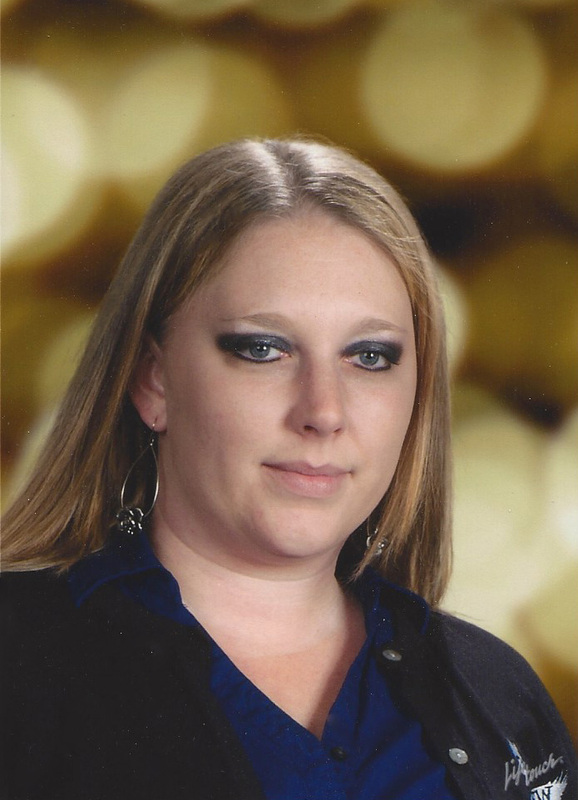 Diana is an avid reader and also enjoys Martial Arts, gaming and outdoor activities. Chris and Diana were married in 2006 and live in Steilacoom with their two dogs Ajax and Mya, and their lizard Styx. This is one of the funnest things you can do for a birthday or group event! 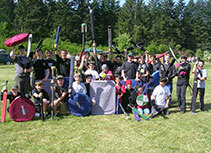 Foam Sword Parties are great for a corporate or team building events! Thank you for making Naveen’s 12th Birthday a huge success!! We’ve heard nothing but rave reviews from his friends... A great time was had by all!! We appreciate your part in that fun night for him. 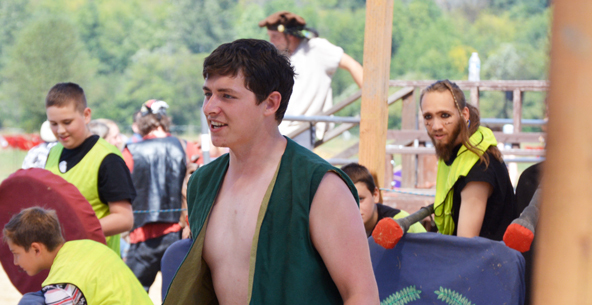 Boffer wars was an amazing addition to SAMBICA last summer. In my opinion, I think boffer wars brought something new that got people excited... the kids loved it, the staff loved it, it became a favorite by all. This game wouldn't have worked as well as it did without Chris and his expertise. SAMBICA was very blessed to have Chris come each week and teach the game to the kids- He brought an excitement with him everytime. You could tell by listening to his instructions that the game was going to be great because he made it sound great! I loved having Chris every week- I loved the way he dressed up because I think it got the attention of the kids and made a statement that this was going to be special. SAMBICA definitely wouldn't have been able to run boffer wars without the equipment that Chris brought with him in his car. He had everything that could possibly be needed and more! 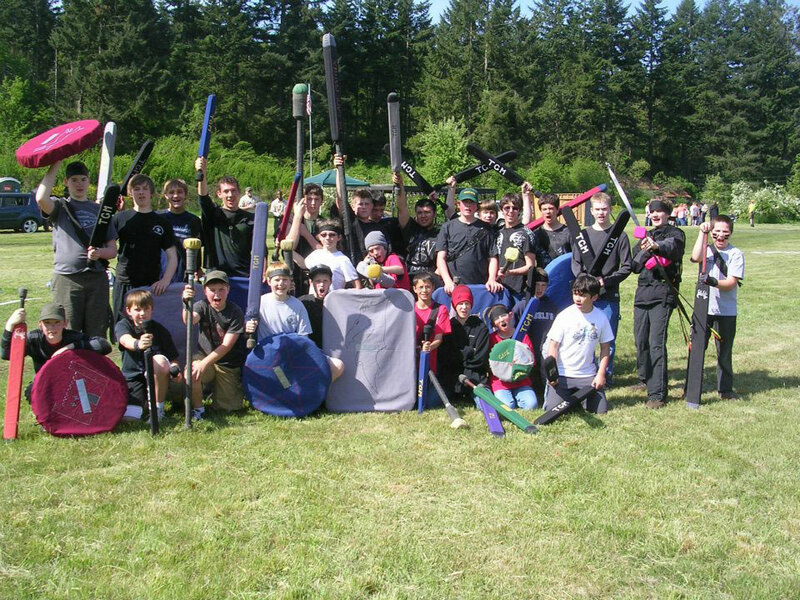 We were so grateful for the shields and swords that allowed each kid to participate every week. Boffer wars was played Tuesday night and by Friday night campers were still talking about how much fun they had playing. Moving forward I can't imagine not playing boffer wars at camp SAMBICA because of how successful and fun it was for everyone! We had so many comments from our party guests that started with "That was the best party I've ever been to!" Capt Chris had our 19 children and 6 adults battling for 2 hours! I couldn't believe they went that long - great way to tire the kids out! And they loved every minute. The battles were well organized, with plenty of rules and safety guidelines but with enough action and variety to keep the kids engaged. My brother-in-law can't wait to plan his 39th birthday boffer party! Foam Sword Parties are great for players ages 3 years and up. We bring the party to your home, local gym or neighborhood park. We bring all the equipment and our staff will run the show for you with a variety of exciting scenarios and hands on tactical training. We adapt our format to the specific activity level and needs of each party we run. Our parties put safety and sportsmanship first. We use a touch contact level of force with an activity level similar to soccer. 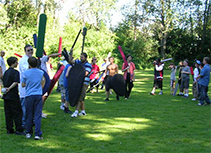 Foam Sword Parties is an activity the entire family can enjoy with parents, teens and young kids all playing together. We recommend at least 10 players and can support large parties up to 100 players or more. Parties typically last two hours but we can accomidate any length of time. The entire event only costs $5 per hour per player, leaving plenty of money for cake and icecream! Call our sister business, The Game Matrix, seven days a week from 11am to 7pm at 253-583-9708 to book your party today. Foam Sword Parties are well suited to school, church and similar organizations. We offer special rates for large groups and customize each party for the specific group's needs. Our activity is great for the adults as well as the kids. Our parties emphesize safe play and sportsmanship in a fun, engaging format. 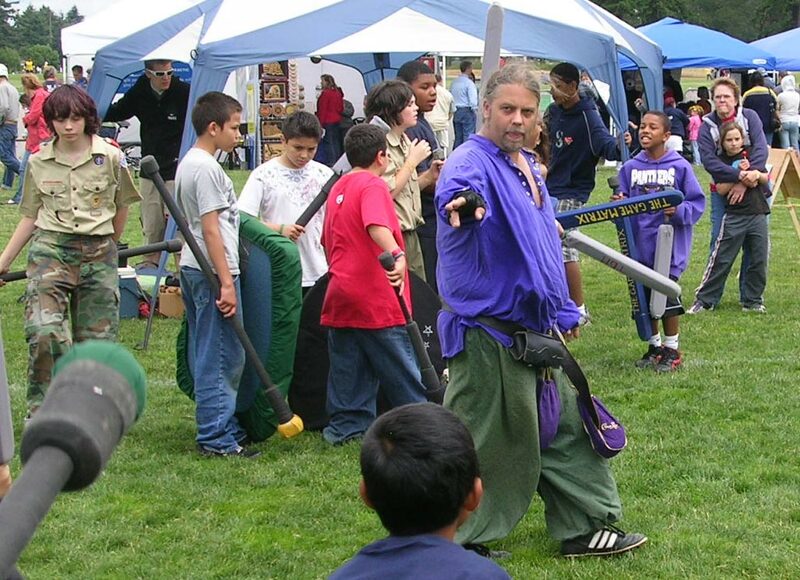 Foam Sword Parties are great for field days and Medieval studies units. Our staff of judges bring all the equipment to you and run the entire event, from rules and safety briefing to a varity of scenarios. We can support large groups up to 150 at once and adapt the event to fit any time schedule. Call our sister business, The Game Matrix, seven days a week from 11am to 7pm at 253-583-9708 to book your party today. Foam Sword Parties are an exciting activity for you and your friends and colleagues. 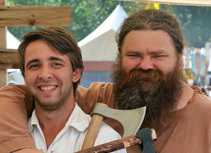 We bring all the equipement including swords, javelins, shields, great weapons and bows and arrows. We train the players in the proper use of these weapons and group strategy and tactics. We introduce a variety of fun scenarios to keep the action hot. With Foam Sword Parties you can test your physcial abilities and combat prowess in a way you never have before. You will feel an amazing adrenaline rush and get a great work out too. We charge only $5 per hour per player and typically use a two hour standard party length. Call our sister business, The Game Matrix, seven days a week from 11am to 7pm at 253-583-9708 to book your party today. 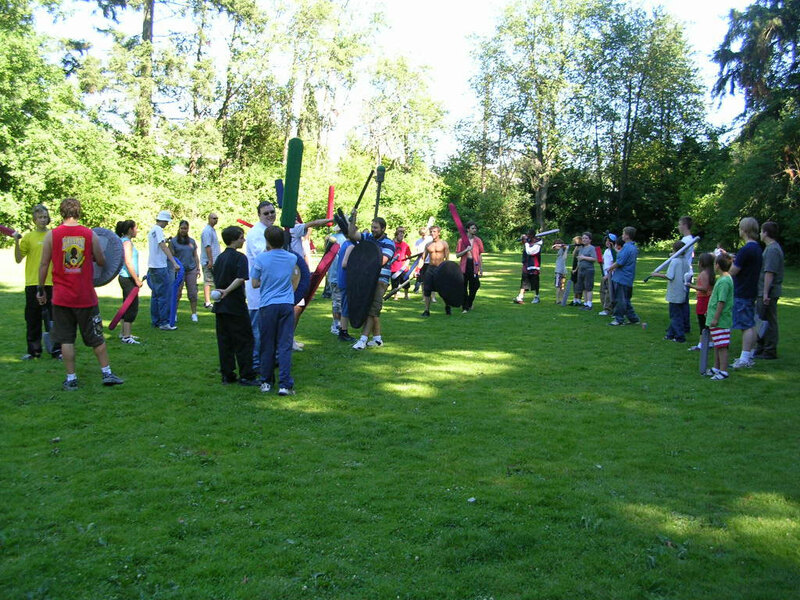 Foam Sword Parties are great for company picnics and corporate team building events. We bring all the equipment to you and run the event on your company campus, local park or gym. Our judges run the entire show starting with a quick safety briefing and rules session. Foam Sword Parties emphisize sportsmanship, leadership and strategy. You can pit different divisions of your company in fun competition or focus your event on team building. We work with your company to bring you an affordable event that your employees will remember for years to come. 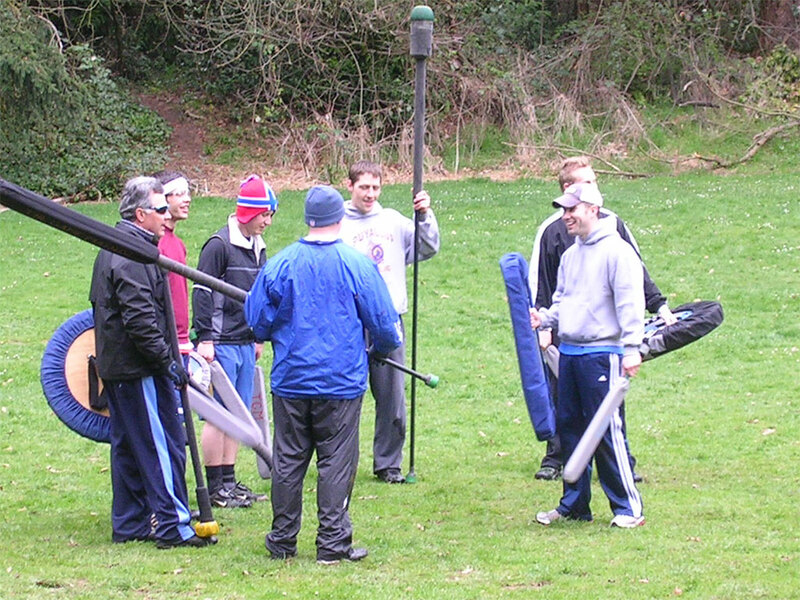 We also offer 'battle arena' format play for company picnics, that allow players to enter and leave the activity as they desire. 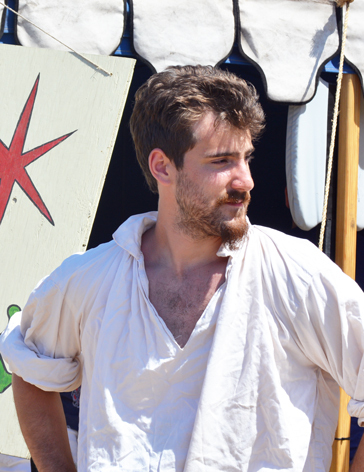 Our 'battle arenas' are very entertaining to watch for those folks who do not feel the urge to pick up a sword. Foam Sword Parties are well suited to groups of 10 or more and can host up to 150 players at one time. Call our sister business, The Game Matrix, seven days a week from 11am to 7pm at 253-583-9708 to book your party today. Questions, Comments or Book your Foam Sword Party! !